If you’ve seen any of our past Christmas cards – you’ve probably caught on to the fact that we don’t do traditional cards. 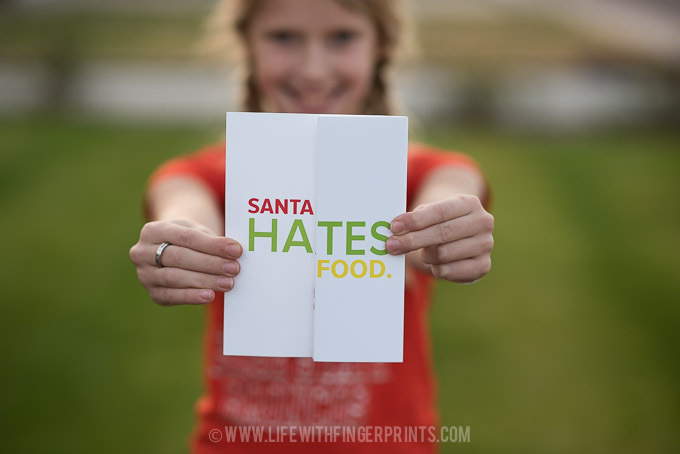 I post so many pictures on our blog every year that printing one out and sending it to our friends seems so boring. So instead of looking for the perfect family picture – I think how can I present the card differently. We’ve done a pop-up, we’ve done a spinning wheel, chalk drawings and interesting folds (with superheroes). The graphic designer in me just likes to be a little non-traditional. This year’s card is no different. 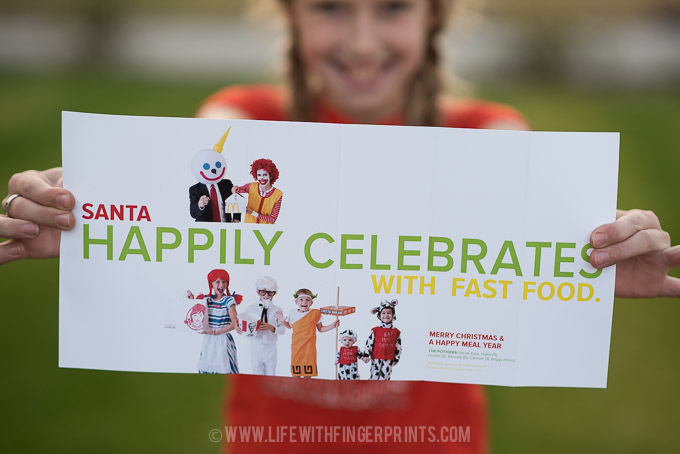 When we dressed up as fast food mascots for Halloween, we figured we’d make a card out of it. I saw a similar idea to this card online and I figured we could make it work for our themed card. Yes, I’m on my Christmas card dressed as a clown – never thought I would say that! When the cards were printed I showed Steve and he laughed as he opened and shut the card multiple times. Then he said – You are a creepy clown! True story. Short, red, permed hair will not be in my future. You are so incredibility creative and talented!